Find out more about activities. It is fundamental to understand and have a knowledge of the culture of those that speak it. To enable you to discover other places. 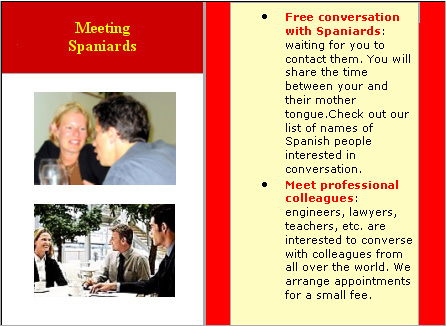 The opportunity for you to engage in exchanges or "intercambios" with native speakers outside the classroom. Our Social programs and Outside Activities will keep you busy during your stay in Santander. The possibilities offered by Santander and the Cantabria region are so numerous and varied that you absolutely must enjoy them. 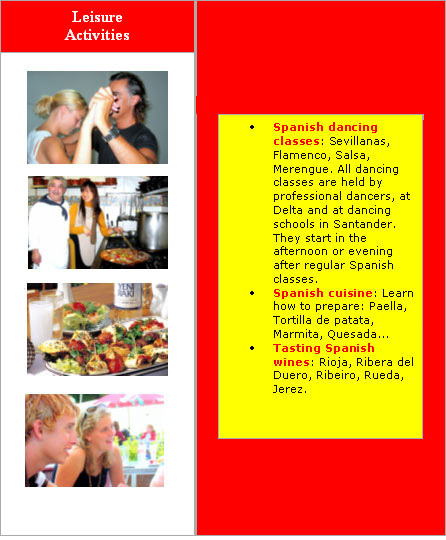 All Spanish courses include a full programme of social activities, which will help you practice your Spanish and enjoy yourself at the same time. 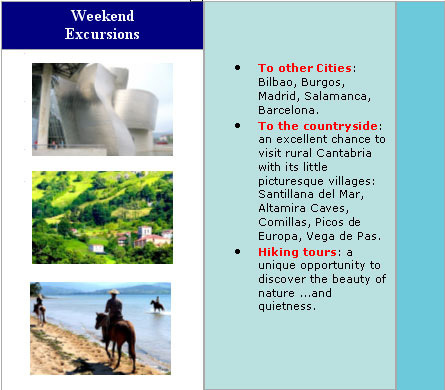 Leisure activity courses and weekend excursions not only reinforce what students learn in class, but helps them to integrate and learn Spanish at an accelerated pace. The knowledge of different aspects of the country's culture, history, economic conditions, etc. improves motivation, guides integration and deepens involvement.